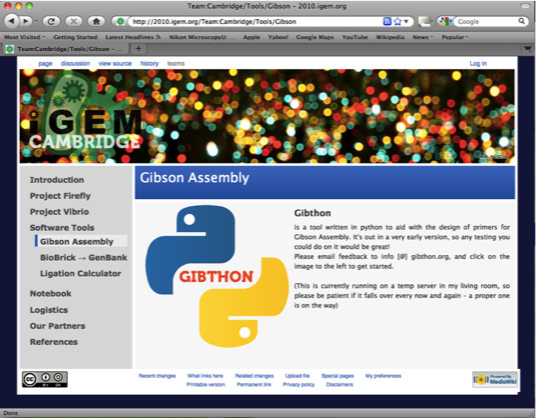 To help in the design of primers for both PCR and Gibson assembly the University of Cambridge iGEM2010 team have developed a website called Gibthon (http://www.gibthon.org/). A primer pair is needed to inverse PCR everything except mCherry. 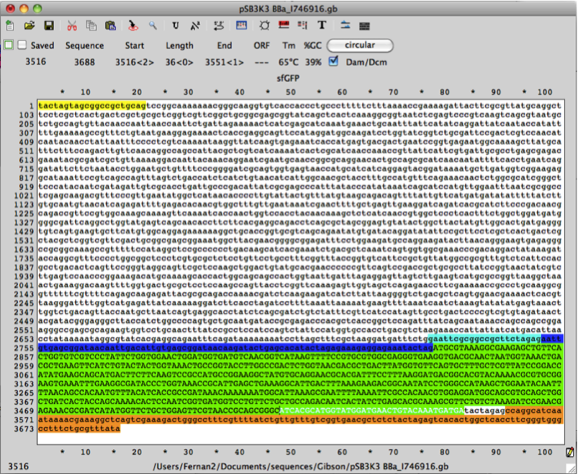 The second primer pair is required to amplify the super folder GFP gene. 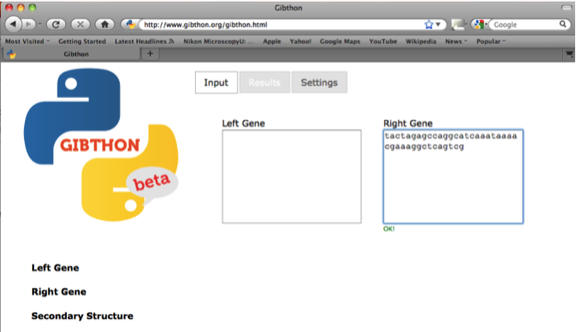 Both primers pairs require additional DNA sequences to act as homology drivers and to allow end-linking by Gibson assembly. 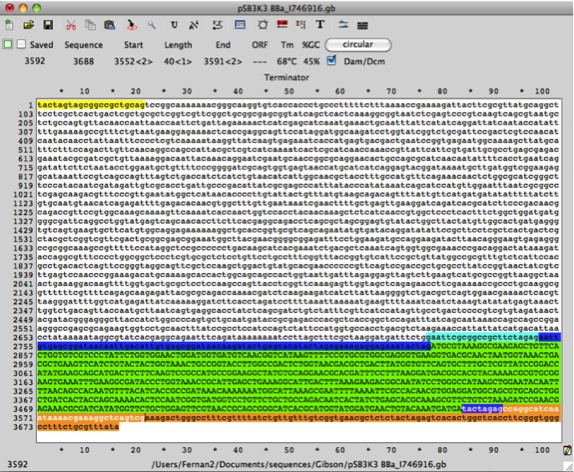 [Note sequences should avoid the prefix and suffix motifs used for restriction enzyme assembly]. 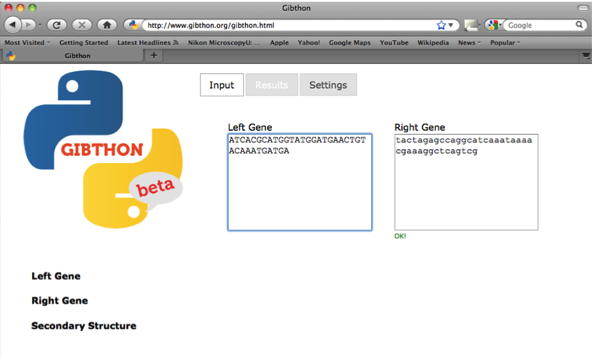 and paste it into the box for the right gene in Gibthon. 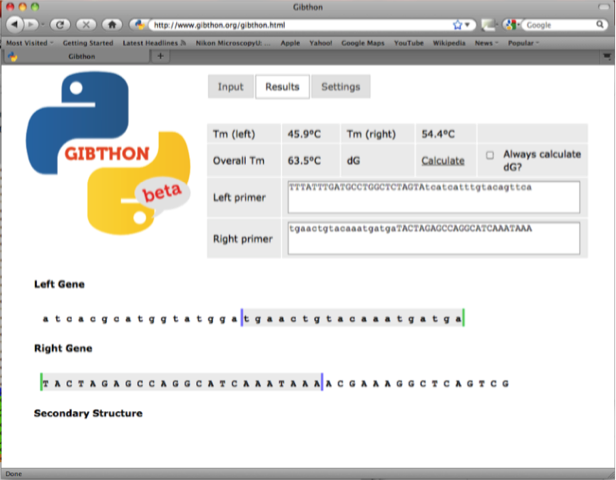 The right primer in the Gibthon window is one of the pair (the forward primer) that will amplify the plasmid backbone (with a 20 nucleotide 5’ overhang that has homology with the 3’ end of super folder GFP for Gibson assembly in green and 24 nucleotides homology to the plasmid backbone). 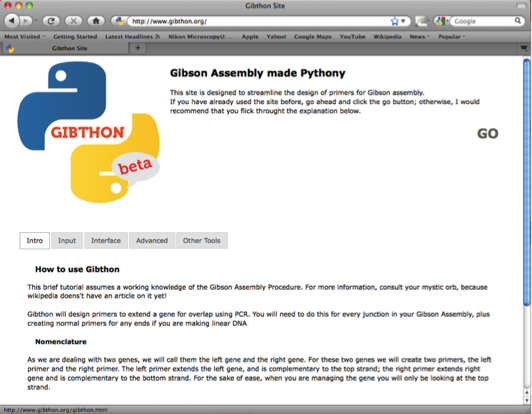 Repeat step 4 to design the second primer pair for PCR and Gibson assembly. The fwd and rev GFP primers and the fwd and rev plasmid backbone primers are paired for PCR. [Note the primer melting points need to be calculated for the DNA sequence that shares homology with the template DNA to work out the correct annealing temperature for PCR].